Above: Sometimes it took a gang of Pirates to try to stop the Cardinals’ Ason Barbour in Thursday’s game at Michigan Center. 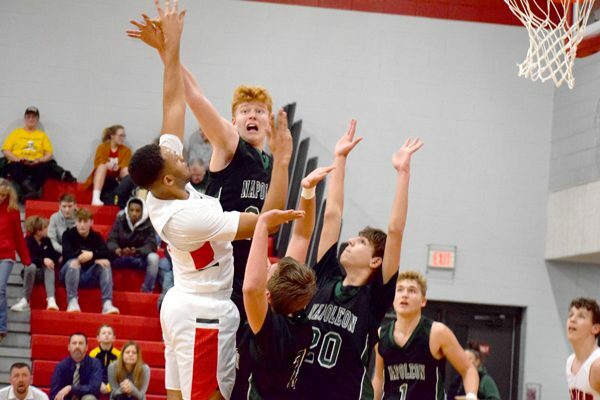 From left, the Pirates’ Jarod Viers, Josh Adams, and Alex Darnell all go up in an attempt to block Barbour’s shot. Michigan Center dominated the game in their 66-42 win over Napoleon. Napoleon senior Collin Bradley puts up a close-range shot in Thursday’s game at Michigan Center. 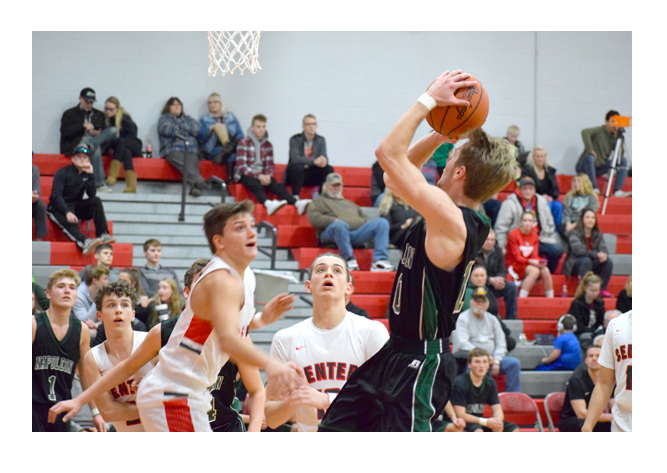 The Pirates were no match for the Cardinals who outplayed them in every phase of the game as Center rolled to a 66-42 victory. Want to try something a little different for dinner? 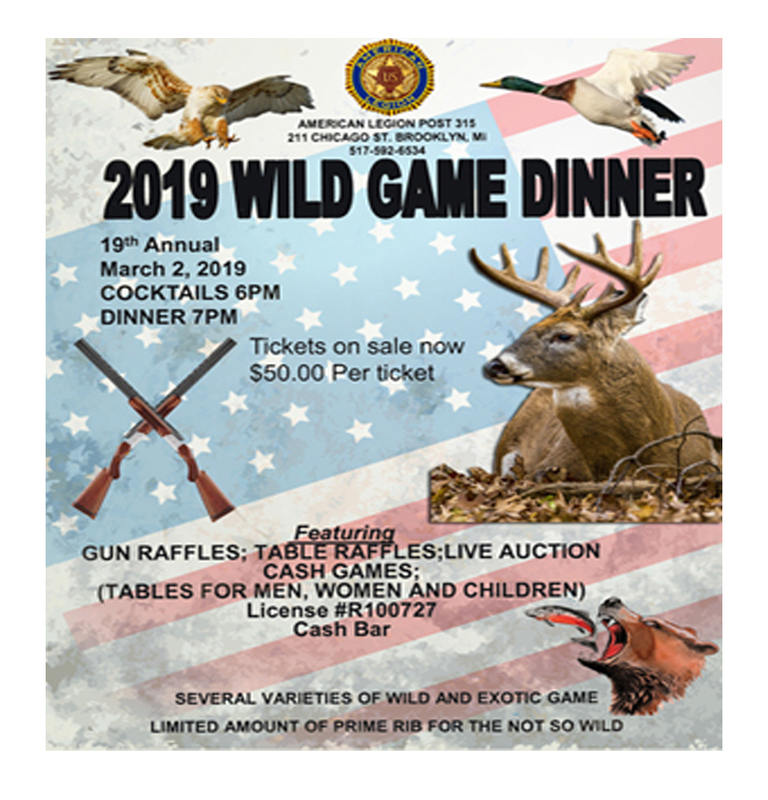 The Brooklyn American Legion is hosting their wild game dinner March 2. See the ad below!